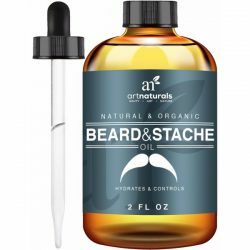 Strong and manageable hair? It’s possible with Keratin Complex Keratin Color Care Duo! Made to cleanse and condition hair, this shampoo and conditioner duo protects hair from damage and color fading. Keratin Complex is hailed as one of the top hair care product brands in the industry. They designed this shampoo to make hair vibrant and shiny after one wash. Choosing the right shampoo and conditioner is important in maintaining the health of hair. Harsh cleansers can rob the moisture from hair and make it brittle. On the other hand, conditioners may weigh heavily on hair and make it feel greasy. 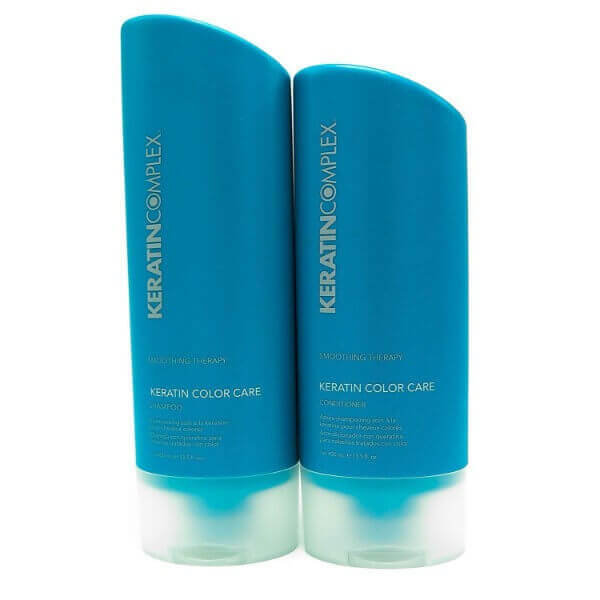 Keratin Complex Keratin Color Care shampoo cleanses hair gently while the conditioner hydrates hair for long-lasting moisture. 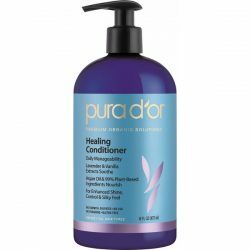 The formula for the shampoo and conditioner set helps strengthen hair to prevent damage. The keratin infused in the formulas help improve the resilience of hair against damage. The shampoo protects hair from dryness and color fading. Color-treated hair is drier than normal hair. To retain the vivid color of hair, use this gentle cleansing shampoo. Condition hair for long-lasting moisture with Keratin Complex Keratin Color Care Conditioner. 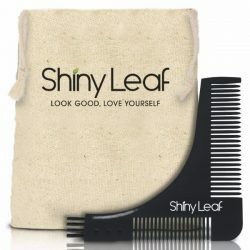 It is highly moisturizing but feels light on hair. It improves hair texture as well to give it a softer and smoother feel. Smooth out split ends and flyaways with the conditioner and make hair more manageable. This set of hair products contains high-quality ingredients. The products are gentle on all hair types especially dry, damaged, and keratin-treated hair. They do not contain sulfate or other drying chemicals. This helps protect the moisture and color of the hair. Restore hair health and shine with this set of gentle and nourishing products. Enjoy a soft and silky smooth hair and keep dryness at bay. Transform hair for a shiny and healthy look even with keratin treatments. Save dull, dry, and damaged hair for an affordable price. Keep color and keratin treatments on hair longer with this set of products. Comes with 13.5 ounces of shampoo and conditioner. Works for all hair types especially color and keratin-treated hair. Cleanses hair gently without causing dryness. Gentle for all hair types even damaged hair. Protects hair from color fading and other damage. Improves hair shine and texture after one wash. Wet hair thoroughly from roots to tips. Squeeze a dime-sized amount of shampoo on hands. Create a lather and apply to hair. Massage into scalp and comb hair using fingers. Rinse with warm water. Wring out excess water from hair. Squeeze enough amount of conditioner on hands and apply from mid-length to the tips of hair. Leave it on for 2-3 minutes and wash away with water. Make sure that there are no soapy residues left on hair. Water/Aqua/Eau, Sodium C14-16 Olefin Sulfonate, Sodium Lauryl Sulfoacetate, Cocamidopropyl Betaine, Sodium Methyl 2-Sulfolaurate, Acetamide MEA, Rice Oil Glycereth-8 Esters, Sodium Cocoamphoacetate, Hydrolyzed Keratin, Hydrolyzed Soy Protein, Hydrolyzed Wheat Protein, Sorbitol, Glycol Stearate, Polyquaternium-67, Disodium 2-Sulfolaurate, PEG-150 Pentaerythrityl Tetrastearate, PEG-6 Caprylic/Capric Glycerides, Panthenol (Provitamin B5), Amodimethicone, Glycerin, PPG-12-Buteth-16, Citric Acid, Silicone, Quaternium-16, Laureth-9, Trideceth-12, C11-15 Pareth-7, Undeceth-11, Butyloctanol, Undeceth-5, Tetrasodium EDTA, Iodopropynyl Butylcarbamate, DMDM Hydantoin, Benzyl Alcohol, Hexyl Cinnamal, Benzyl Benzoate, Fragrance/Parfum. Water/Aqua/Eau, Cetyl Alcohol, Dimethicone, Cyclopentasiloxane, Behentrimonium Chloride, Amodimethicone, Cetyl Ethylhexanoate, Hydrolyzed Keratin, Hydrolyzed Wheat Protein, Hydrolyzed Soy Protein, Glycerin, Panthenol, Poloxamer 184, Ethylhexyl Salicylate, Citric Acid, C11-15 Pareth-7, Laureth-9, Disodium EDTA, Trideceth-12, Tetrasodium EDTA, Isopropyl Alcohol, Methylparaben, Benzyl Alcohol, Benzyl Benzoate, Hexyl Cinnamal, Fragrance/Parfum.